One of the biggest perks to include them smartphones in the classroom is that you can research with a touch of a finger with a specified Research Apps. A student, librarian, or educator may find many apps outside of the downloading Google’s search app to provide what they need like finding articles and annotations sources without any hassle. From annotating any document on a mobile phone to be able to show examples of citing multimedia sources, and from logging into the computer files from your mobile phone to create online searches of scholarly publications. These apps are not less than a boon for one who wants to conduct meaningful research. Whether a person is surfing google, Wikipedia or say Facebook; saving a URL, taking a picture of a page, so you don't have to search the whole book, sharing a PDF from one account to another, all you need is the particular small types of apps that can reduce your hassle. Evernote is a useful research application to store, create and exploring through notes inelegant way. The best thing about this app if you don't have to write everything manually. It also allows you to search your handwritten notes and share rate among your friends and family. It makes it possible to access all the notes on your every device. This Research Apps is useful for anyone who does research and is able of note to organize. It is a free tool to download, but you can still pay for the extra fancy pictures. It is a research app that allows you to save read and listen to your favorite news, stories, and videos from the web. It is easy to handle as having a clean user interface and bright display for the relaxing reading experience. By the listen to feature, it turns the article, blogs, and news into voice. It is available on the Google play store for free, though you can purchase the premium version for the extra features. That is used to find examples of the MLA styles citations and also required in school-related projects and research papers, as a reference tool. A how to do in-text citations new section is available describing it. Included are eBooks and books, magazine articles, journal articles, resources from the library databases, website, YouTube videos, and blog posts. You can also take thesis help from this app. It is a full-featured educational research app for Android. It can research the 83,000 books and over ten million articles from the famous publishers. Add a full suite of organizational tools and analysis, including Questia’s in-app reader based on gesture highlighting and notation. Use the Questia account to access the saved work from any mobile phone as well as how-to guides on the Questia.com and additional tools. Get secure from anywhere and anytime from your Android, tablet, or iPhone to your personal computer. Via WiFi/3G, access your computers and Macs remotely. Includes access from your web browser and desktop, with a subscription of LogMeIn Pro, so everything is at your fingertips when you need. You can also edit the computer files from their device, as well remotely run the application on your PC from there devices. It is one of the useful research apps as it can save and store any articles for you in offline mode to read it whenever and wherever you want. It works by keeping a web page in text form to eliminate all the full-sized layout to optimize for the mobile device. It can store 500 articles, unlimited on the Instapaper website allowing users to read it. Subscription plan is available. Along with that, theses writer can be found easily. This particular research and can be your magazine. You can browse articles, videos, pictures that friends are sharing, read stories around the globe can also catch up on the news. At the start, pics any interests hand tap any of the icons to start sleeping through your person magazine. Add publication hand blogs like The New York times, fast company and many more. You can also integrate your social media accounts like Twitter, Facebook, Instagram, and Tumblr. These apps are useful to see what your friends are sharing and share articles with them quickly. So, this is our 7th Research Apps of this list. This research app will allow you to create APA, MLA and Chicago style citations by the name of the book or by scanning the barcode, in seconds. Once done, email the quotes and export the citations to the bibliography Management service of easybib.com. It is one of the important resources of information when it comes to research. The Android app version will access the content on the Wikipedia website. Wikipedia content including popular articles, events on this day in history, current events, suggested items based on what you’ve already read; much more. 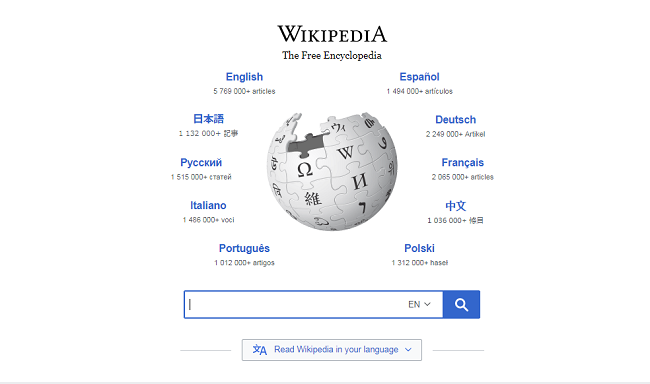 Also, multilingual is supported and explore feed content in multiple languages, easily switch between languages while searching for articles; read articles in any of the nearly 300 Wikipedia-supported languages. This research app allows you to research and create papers on Science, Math, and Technology for school, instantly. Create research papers for schools and colleges quickly. Enter the area of research and application will displays latest news, videos, scholarly reports, wiki data and related books on Science, Engineering, Technology, Astronomy, Math, Business and Religions of the world. Other features include the latest news on the topic of interest, Best scientific information from experts in the field, and much more. It is available for free Google play store.